Research has shown over the recent decades that constant and persistent degradation and wanton abuse of our environment - which alters the balance of the ecosystem, is largely what is responsible for the predicament we face today in our world. Part of the backlash of course, is what we are experiencing today in most parts of Nigeria for instance – extreme hot weather, and similar adverse weather conditions. We are supposed to equip ourselves with the knowledge of how to stay safe and avoid extreme consequences, one of which is a possible fatal health condition known as Heat Stroke. 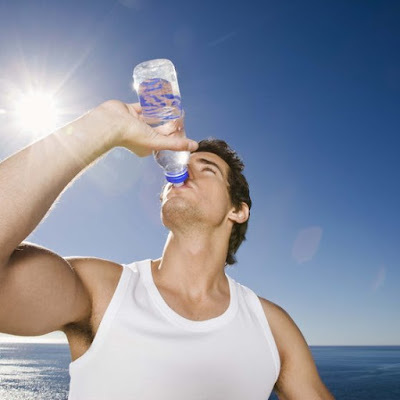 According to experts, heat stroke which is also referred to as Sun Stroke is the most severe type of heat injury and is categorised as a medical emergency. If you happen to see anybody who has heat stroke, please endeavour to administer some form of first aid, and afterwards get quick medical assistance. According to the WebMD experts, you should not delay in getting medical aid for anybody who’s a victim of sun stroke for it could be very fatal. The sunshine these days is rather very intense, and extreme caution is to be exercised all through the period. 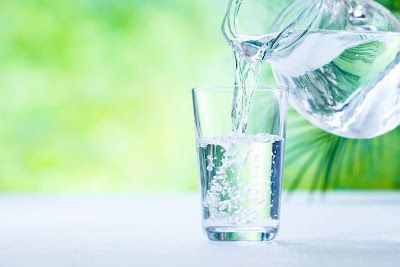 Also, a word of caution to fellow Christians who may be fasting at this period of Lent: ensure that before and after your fast each passing day, you do not expose yourself too much to the sun, and also make sure to drink PLENTY of water so as to remain hydrated all day. This advice goes also to the general public. Very importantly too, our commercial bus operators are fond of overcrowding passengers, but this is the time for you (passenger and operator) to ‘have more sense’. Do not allow yourself to be cheated; avoid exhaustion or fainting. Ensure to drink plenty of water, and if need be, carry an umbrella with you, experts have warned. If a person has fainted due to extreme heat, do not hesitate; take them to an air-conditioned or airy environment – and remove any unnecessary clothing. Fan the person, and even use any soft materials e.g. towel to wet the person with water; or you could just gently pour water over them. You can also apply ice packs to the person’s hip region, neck, and back. This will lead to cooling their temperature. If it’s a young person doing exercise that suffered heat stroke, you are advised to use cold bath to help bring down the body temperature. Do not forget to wear sun glasses, when going into the sun; put on light and preferably cotton fibre clothes. 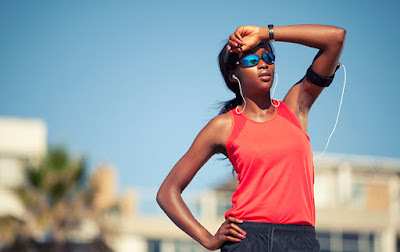 "Heat-related illness is all too common during the summer months and can lead to serious complications and even death," says Dr. Reginald Mason, total health lead for Kaiser Permanente in Atlanta. 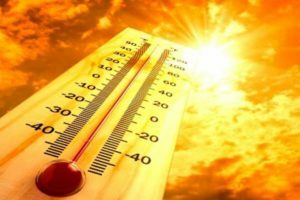 "While certain people are at higher risk for heat-related illness, anyone of any age, especially if they exercise in hot weather, can suffer from this. It is important to recognise that even well-conditioned athletes can suffer severe consequences from overexertion in the heat," he stated. Also, confer with your physician prior to increasing liquid intake if you have epilepsy or heart, kidney, or liver disease. Do the same thing if you are on fluid-restricted diets, or have a problem retaining fluids, experts say. If your house has no fan or air conditioning system, endeavour to spend at least two hours each day -- preferably during the hottest part of the day, in an air-conditioned environment or under a cool shade. When at home or office, open the windows and curtains, shades, or blinds during the hottest part of the day; also leave windows open at night on two sides of your building for cross-ventilation purpose, if possible. Yet, apart from the fact that we are expected to get knowledge on how to ameliorate the hazards of extreme weather, we are also called to be more responsible towards our environment by ensuring that we do all we can to begin to halt and reverse climate change. Let’s join hands therefore to reduce greenhouse gas emission in our environment.